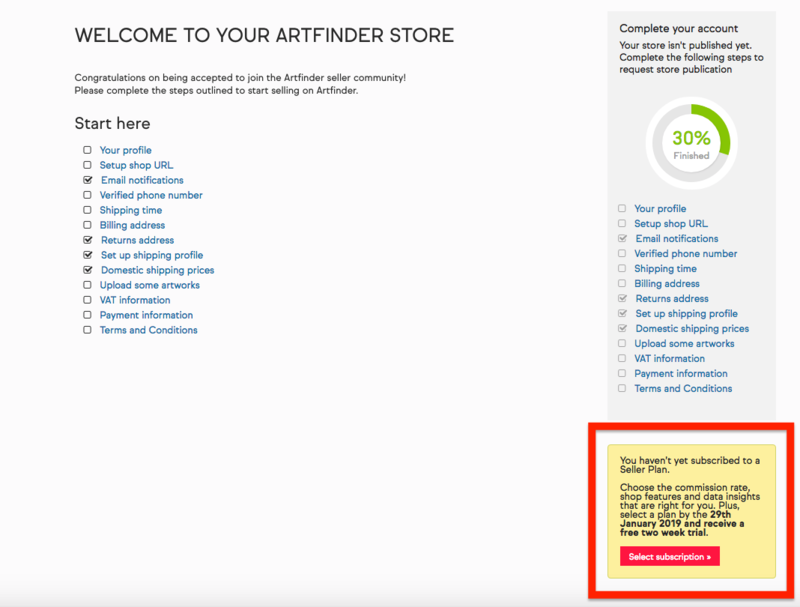 I’ve just been approved to sell on Artfinder, how do I choose my Seller Plan subscription? 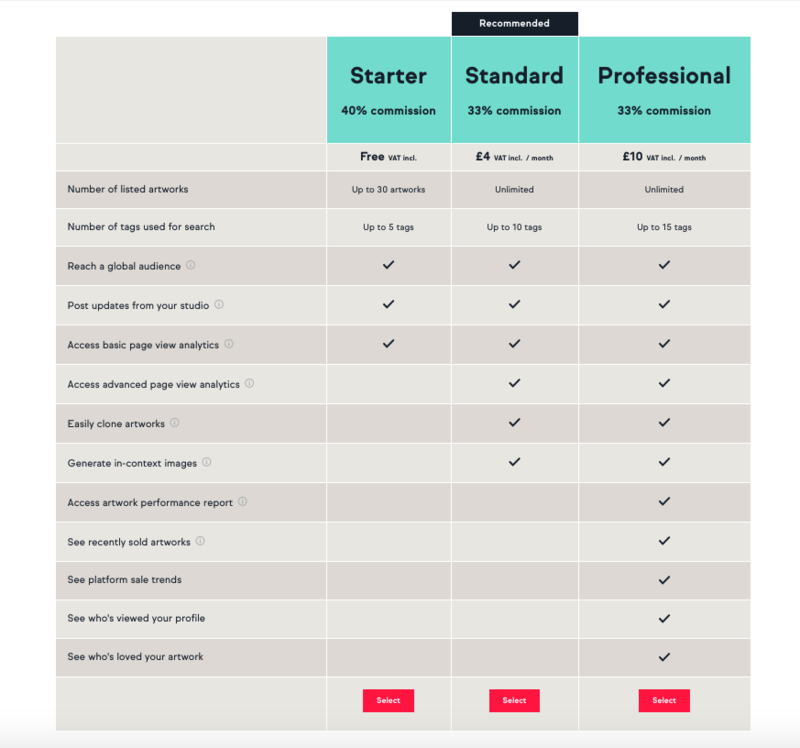 To select your subscription when completing your profile, simply click the red button ‘Select subscription’ at the bottom right hand corner of the page. 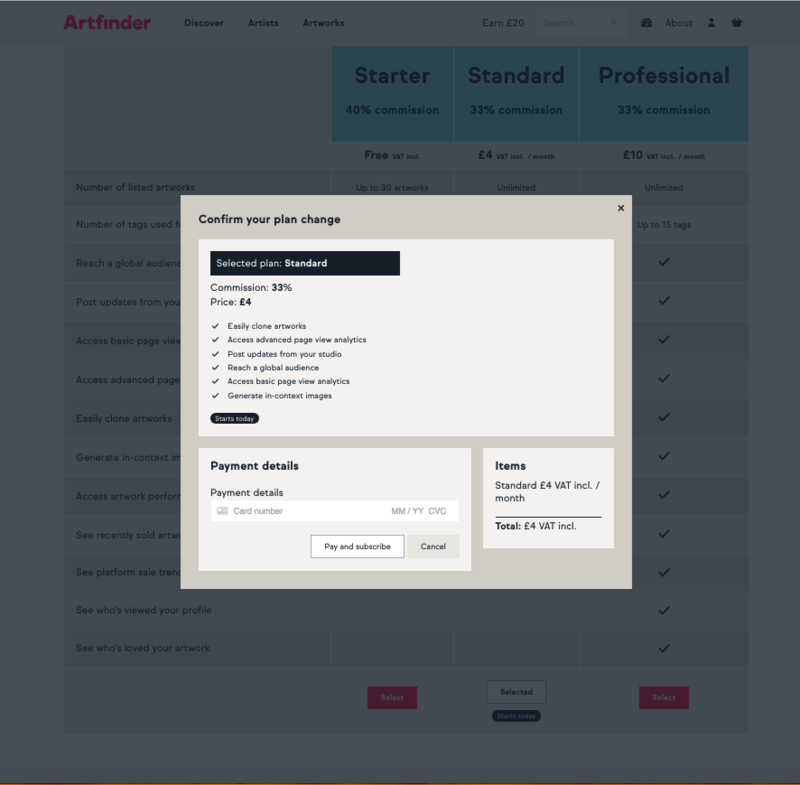 Your subscription will start as soon as you select a Seller Plan. Please see the screenshot below for further information. After you have selected your plan, you may pay by entering your card details into the box shown below. We accept Visa, Mastercard and American Express as payment methods.